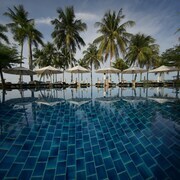 This luxury resort is scenically situated on a private beach bordering the Andaman Sea. The rainforest is adjacent, and the town and jetty are nearby. You’ve got it made. From your amazing bae to a job you love, you know you’re truly #blessed. But your fake work rivalry with Jenny in accounting is getting pretty heated, and she just took an amazing trip. No worries. Langkawi resort accommodation has that little extra something that will give you the edge in the tea room. Travelling with the clan? You can stay at family resorts on a budget no matter how many ankle biters you’ve got. Let the kids splash in the pool while you stretch out on a chaise lounge like you own the place. 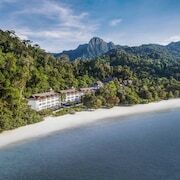 You could also just leave the kids at home (and if you don’t have any, well, even better) and just do your own thing with adults-only resorts in Langkawi. Just do you. Sip on tropical drinks with tiny umbrellas, take delicate bites of hors d’oeuvres (after you #foodstagram them, obvs), and add so much to your social media story, you’ll feel like a celebrity. 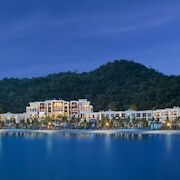 No one at home has to know you had such a great time in Langkawi without them. 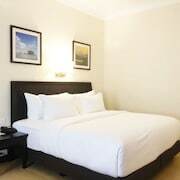 Humble brag: You’ll find such great deals on lastminute.com.au, you’ll have trouble picking just one—but at these prices, you don’t have to. 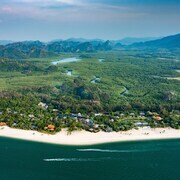 Cheap holiday resorts in Langkawi are just the beginning. You’re gonna love this trip so much, you’ll want five more just like it, so you might as well book them all now. Then bust out those new bathers and sunnies that got you looking like Beyoncé. You deserve it.